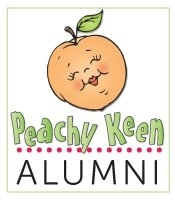 GOOD MORNING & HAPPY FIRST DAY of our 4th Anniversary Celebration of Sneaky Peeks!!! We have some AMAZING new goodies to share w/you all this week! So sit tight & just ENJOY all of our projects that my AMAZING team & myself have put together for you! For our "Freebie" stamp for this release, we are giving away this ADORABLE stamp "I Love You Beary Much" to the FIRST 200 shoppers! 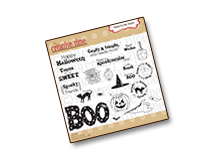 YEP, you heard that right, this stamp will go to the FIRST 200 shoppers for FREE! You do NOT have to add it in your cart, myself & my shipping crew will automatically include it in your pkg, ONLY to the first 200 shoppers! 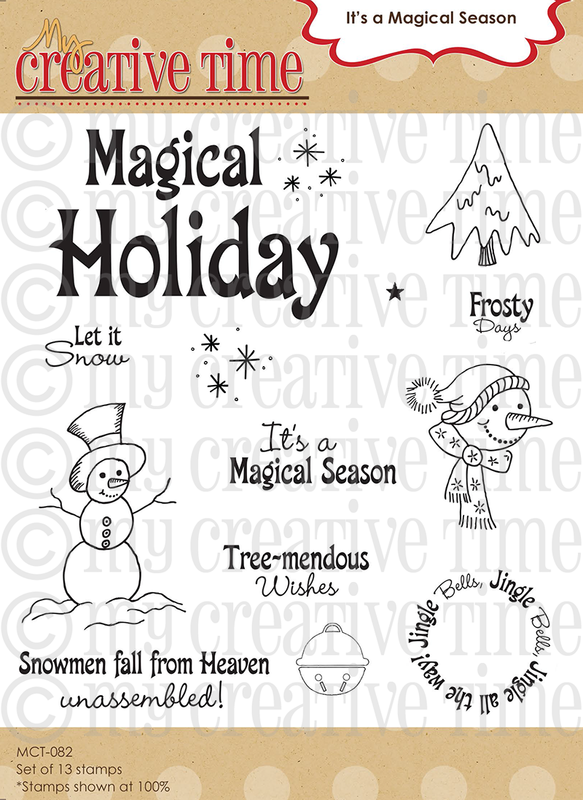 IF you happen to come through AFTER the 200th shopper, no worries because this stamp will be available for sale! I know there will be questions on whether YOU made the first 200? AFTER the 200 shoppers come through, then you will see this set available for PURCHASE along w/the new release items! Happy 4th Anniversary Emma! Woot-Woot!!! How exciting… gosh I remember when you first came out with your line of products. Time really has flown by, yikes. 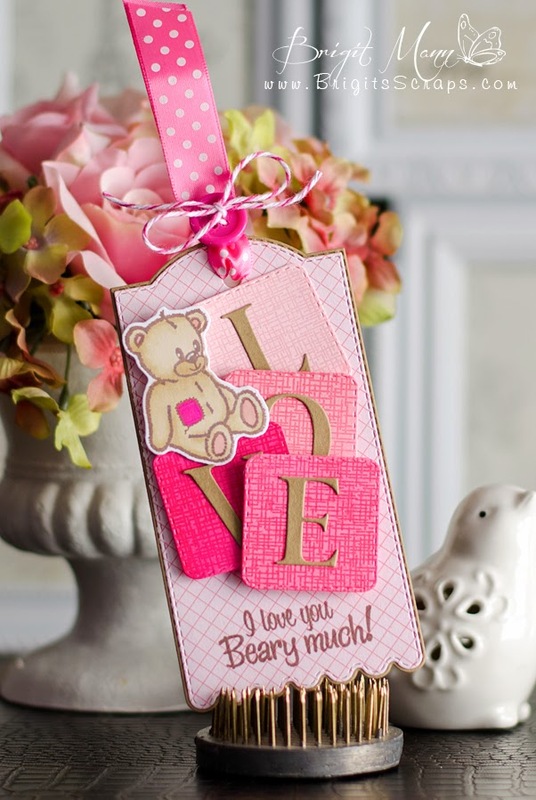 Super darling "Hello Honey" bear card, the vellum paper look great over the honey comb. Makes me think of summer & the high today in Chicago was -10 below - Bbbbbrrrrr…. 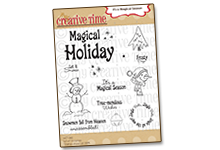 Happy 4th Anniversary Emma and My Creative Time! I wish you tons of blessings for the many more anniversaries still to come! While I have only been making cards for about 2 years, I am so grateful to have found you at the beginning of that time because you have helped me grow and learn so much. 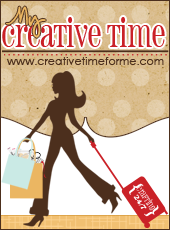 You have been an inspiration to me and your products have made crafting so much fun! I can't wait to celebrate more anniversaries with you! Happy Anniversary! Happy anniversary Emma! Your sneak peak is so adorable. Looking forward to the whole week to see what you have in store for us! Good Morning Miss Emma OMG what a cutie of a Sneak Peek OMG I love it!! 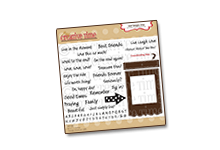 Your card is so adorable....I just love the fun ways you've used your oldies with your newbies.....as always everything goes together...WOW what an exciting week......and HAPPY 4th Annniversary you know how to throw a party....WOW!!!! 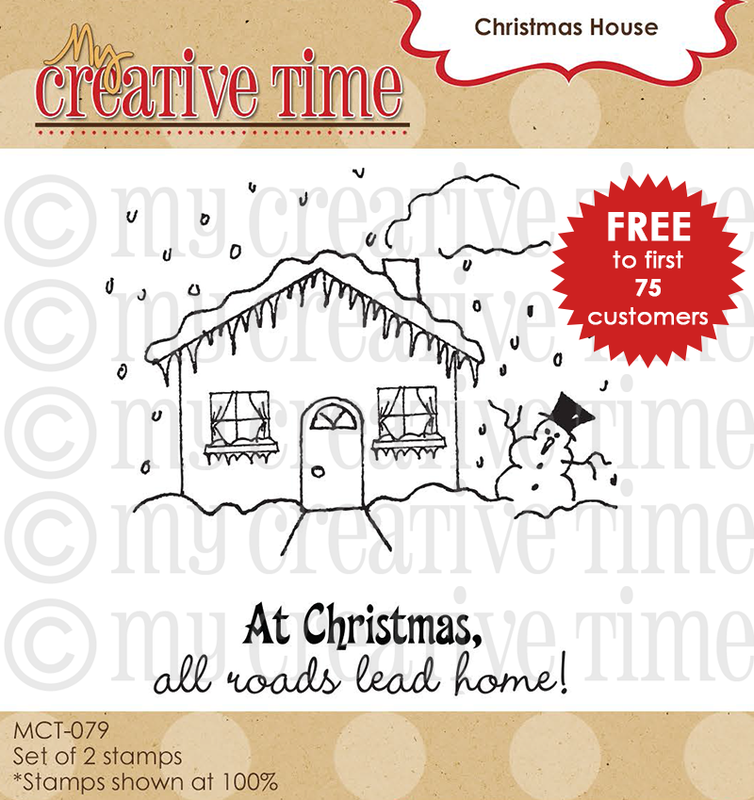 Your Freebie stamps are adorable....geeze and your grand prize is unbelievable YOU so ROCK!! Wow, Such cute designs for cards and tags!! Love them! Wowzers! 4 years already! I've been with you since you were on My Pink Stampers DT. How time fly's when your having fun. Congratulations are in order! I am so stinking exited about these little bear dies! I can take out my stamp set and dust them off and get busy when I get these dies added to my ever growing MCT collection of goodies. I can't wait until Friday,it's like Christmas all over again. Super adorable card Emma! LOVE how you stitched the vellum! 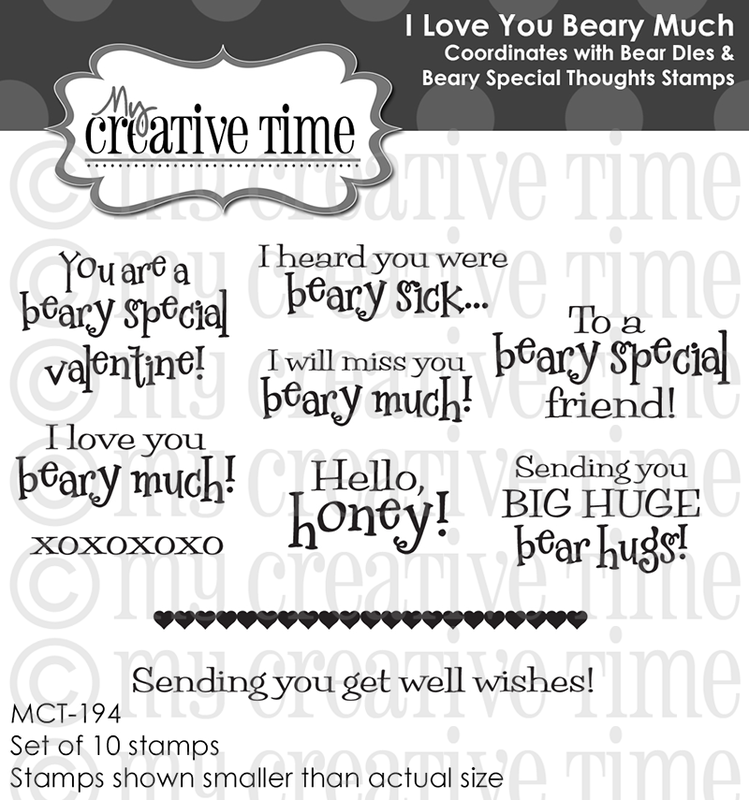 This is one adorable new set...those bears with the new dies and the new sentiments are AWESOME!!!! Hugs my friend on a GREAT day 1 of sneaks and 4 years of releases!!!! So proud of you!!!! HAPPY 4th ANNIVERSARY Miss Emma. Here's wishing you many more years of great success in both your business and your sweet family life.. I ADORE your CUTE bear card. Thanks so much for sharing it's cuteness. I LOVE that you made dies to go with this sweet bear set. I MUST get them both. Looking forward to all that 2015 has to offer. Forgot to add I've had your release badge on my sidebar since you first had it on your blog. I love all the sneak peaks and can't wait to see what is coming the rest of the week. Oh my goodness, Emma.....I have always loved that little bear set.....now I have to get it for sure!!! Totes adorbs!!!! Happy 4th Anniversary! Love your products! Adorable card, Emma! I love how you used the honeycomb behind the bear! And your bow is AMAZING!!! Love the bear die-I have the stamps and am very excited to get the dies! Love the card-it is super cute! Very cute loving the bears and matching dies. Congrats on 4 years! HAPPY NEW YEAR MS. EMMA! How cute are these little sayings! I'm glad I already have the bears to go with these new dies!! this will make life easier to use the little cuties! thanks so much!! Happy Anniversary Emma. Only 4 years? 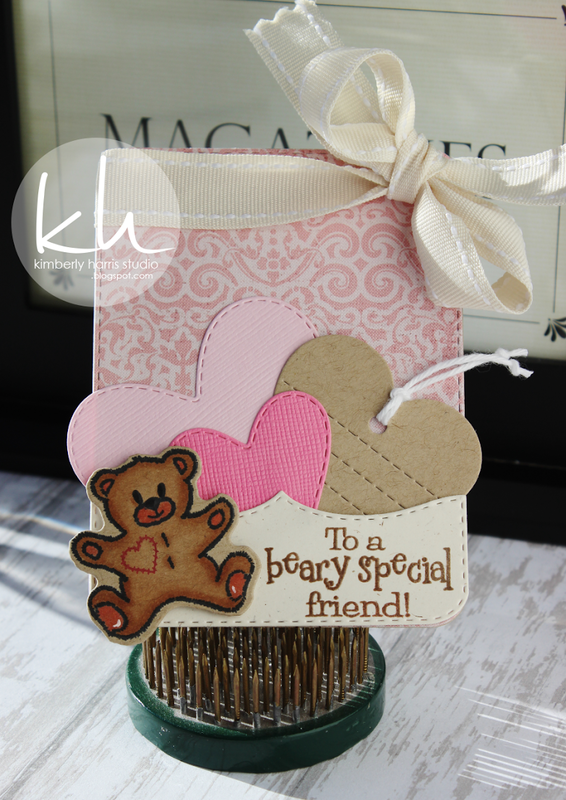 I love the little bear die and sentiments and your DT did an amazing job. I love the snowman accessories on the little bear and the penguin hugging the bear. Such cuteness.Congratulations again. Oh my! 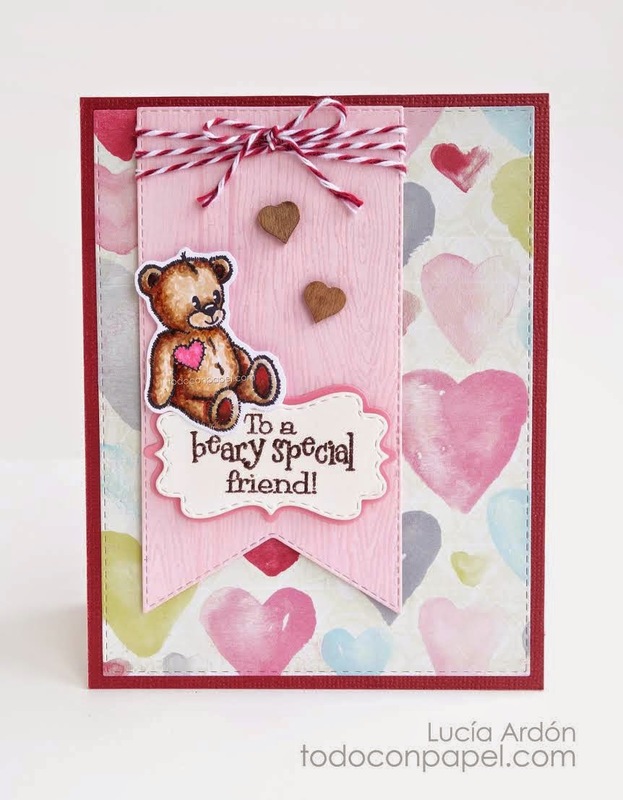 I LOVE the new stamp sentiments and how wonderful to have a die for the little sweet bears! Happy Anniversary Emma! Hard to believe how fast the past 4 years have flown by. The bear dies are just the cutest thing ever!! Your card is so pretty, I love the yellow and black and the bear looks so cute on top of the honeycomb. Happy Anniversary, It is wonderful to have a die for the little bears. So much easier than cutting. Happy happy anniversary Miss Emma!! Here's to many more years!! Your card is so cute! I love the vellum on the honeycomb and of course that bow is gorgeous!! Hugs!! All of these projects are simply adorable! Happy Anniversary! I love your card, it has so many great elements. Happy Anniversary! wow four years time does fly when having fun. Your new release is so cute. I use to be a teddy bear collector but sold all of that when we down sized. Can't wait for the rest of the week. Happy Anniversary!! Your card is beary cute!!! The bear is simply adorable!!! What an adorable bear!! The cutest ever!! I just love him!! Happy Anniversary, Emma! Words can't express how much your new release and the fabulous showcases are lifting my spirits. My father passed away unexpectedly on Dec. 30th, and we are still reeling from the shock. 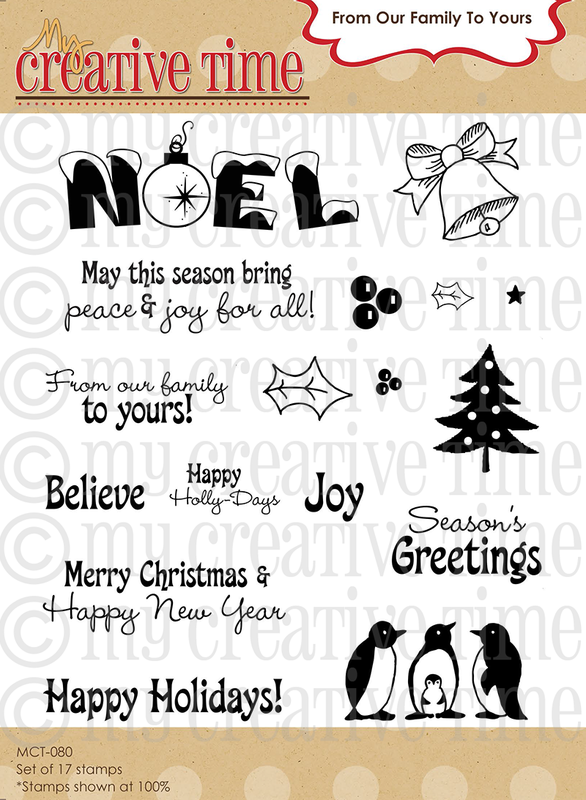 To see your cheery new products and beautiful cards here: a smile is lighting my face. THANK YOU so much!! As always, love, love and love MCT! Emma!!! I can't believe it's been FOUR YEARS!!! I am so very happy for all your success!!! There is no one like you my friend...you truly are AMAZING!!! Happy Anniversary Emma! So happy for you and love your adorable bear! Extra happy that he has matching dies now which makes it so much easier for me to create. Love the sentiments so much! Can't wait to see what else is coming our way. Happy Anniversary, Emma!!! 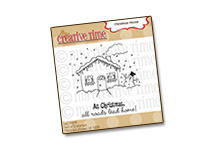 !Adorable card and I Love the new bear dies and new stamp set!!! A beary happy anniversary and beary best wishes for many more years of fun. the hop was great. Love the little bear. OMG This is so adorable! Am crazy for teddybears! Even did a paper about them and wrote to the Teddybearmuseum in England! Got an A+! YOU WILL GET AN A+ TOO sweet Emma! I cannot believe it's been 4 years! I love this bear soooo much. How awesome to Hanne a matching die!!!! cute teddy bear release !!! Happy 4th anniversary! !...keep up the good work !!! Happy 4th Anniversary Emma! Thank you for always being so generous with your freebies and discounts. OMGoodness, how super cute Emma and your DT did a gr8t job....time to go commenting!!! Can't believe it's been 4 years. Happy Anniversary! And these bear dies would be awesome for the bear stamps. You are very generous Miss Emma. Happy New Year! These bear dies and stamps are so beary cute! You and your DT have outdone yourselves again! Congratulations... I've only been a customer for 2 of the 4 years, but have enjoyed all the creations with your products. I always look forward to the releases, and this one has a great start. 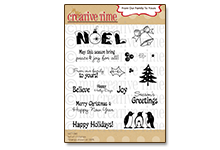 Oh, how I love all these projects using your bear stamps and dies! You and your design team are so creative! I am loving the first day showcasing the new release - can't wait to see more! I can´t wait to have this new collection!! The bears are so cute!!! Congratulations on your 4th Anniversary!!! Congrats on your 4th Anniversary. Love the new bear dies and sentiments to match the Beary Special Thoughts set--so glad I have this set already. Wonderful card--perfect with the honey comb die. Happy 4th Anniversary Emma!!! 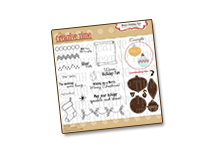 What a great start for your new release.....loving the new dies and sentiments....by the way your card is SUPER CUTE!!! Happy Anniversary! Wow, how can it be 4 years? Wow...you have done such an amazing job on creating your stamps/dies and then your DT rocks! The way you all showcase them and show us so many fun idea's and ways to inspire us is incredible !I wish you continued success Emma! Your card is so stinken adorable! 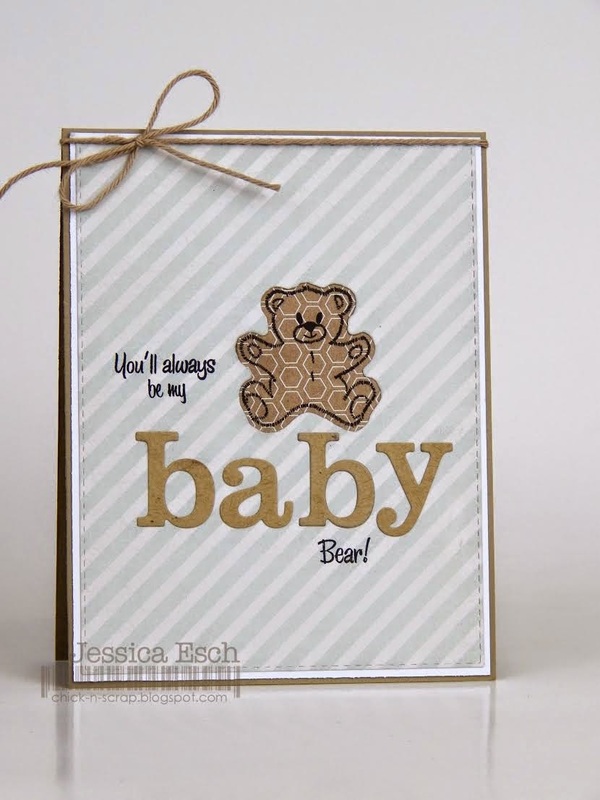 I love the sweet little bear and fun sentiment! 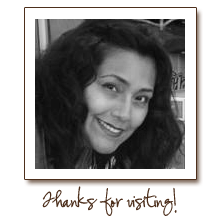 Thanks so much for the opportunity for the freebie and a chance at your happy mail for a yr! Oooooh man, someone is going to be screaming for joy to win that! You are so sweet and so generous! Happy 4th Anniversary Emma!! Wow... time is flying by! Your products are absolutely amazing.. wish I could have them ALL! I don't even know how you can come up with so many incredible ideas for your releases, but you somehow inspire and amaze me EVERY release!! 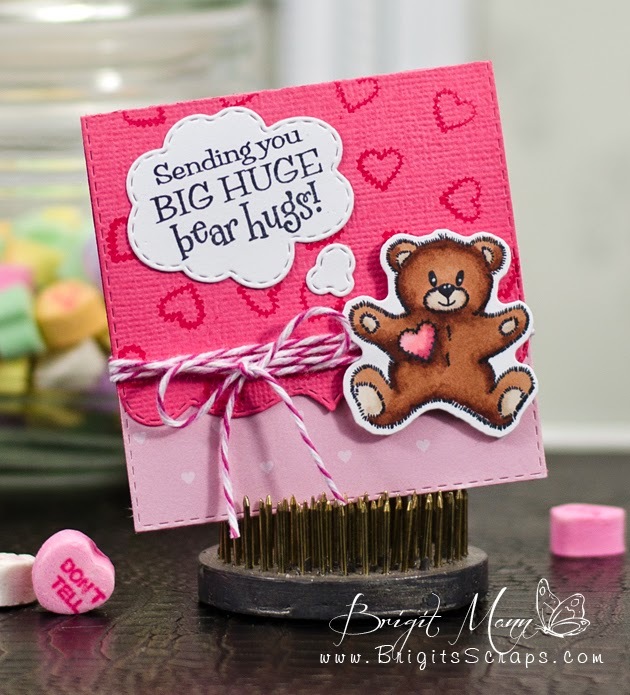 Your bear dies looks like so much fun, and I LOVE the bear stamps and sentiments!! So many fabulous projects by the DT, and I just adore your sweet card!! Thank you so much for inspiring us all over the years... you are one amazing and talented lady! PS... the Happy Mail giveaway, is beyond exciting! What a fun idea! I can't wait see who the lucky winner is!!! Totally ADORBS!!! So fun to have a die to go with the Beary Special Thoughts set. Such a cute card. Happy 4th Anniversary! Oh such an adorable, adorable card and set! Love the DT projects too! Sooo cute!! Oh Emma, your card is absolutely darling. I love the way you did the background and love the colors, that bow is beautiful. Adorable card my sweet friend!!! Love it and so glad too you made dies for these cuties!!! I love bears! so glad you made dies for them. Your products are phenomenal! Thank you so much for all you do for us fellow crafters! Wow, 4 years!! That's so amazing, Emma!! Congratulations on your amazing success - so deserved!! OMG. This a must have!! Happy Anniversary!! Oh my! How sweet are the new sentiments? I love your card and the cheery yellows. It will be nice to use the new dies to cut the cute bears...with the new sentiments there is even more reason to use these cuties! 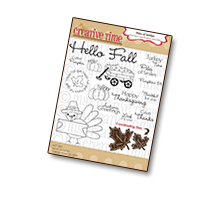 You and the awesome design team had some sweet projects made using the new stamps and dies. So much inspiration. Happy Anniversary! I can't believe it has been that long already as time flies when your having fun ;) I am having fun! Happy, Happy anniversary! I couldn't wait till the weekend was over and the sneaky peeks were here. Love your card, so stinkin cute!!!! Am so excited about the awesome giveaway and all the new & adorable sets.. As always Emma, you are starting with a bang! Congrats on 4 years! Awesome creations with these sweet bears! Looking forward to all the peeks! Happy Anniversary!! Beary cute release!!! Emma ~ Oh my your card is ADORAB and BEATUIFUL all wrapped up into one! ILOVE that you did the bear die with the honeycomb dies but then added the softness of vellum! Oh you know me ~ the big bow/ ribbon is FABULOUS! LOVE it! This team ROCKED today ~ WO, WOW, and WOW!!! Well TU for do the bear dies ~ I LOVE them and I know I was one who was begging for them! LOL! LOVE the new inserts too! I wish everyone luck on winning because this release is AMAZING and jammed packed with AWESOMENESS!!! EEK ~ they are going to LOVE it!!! 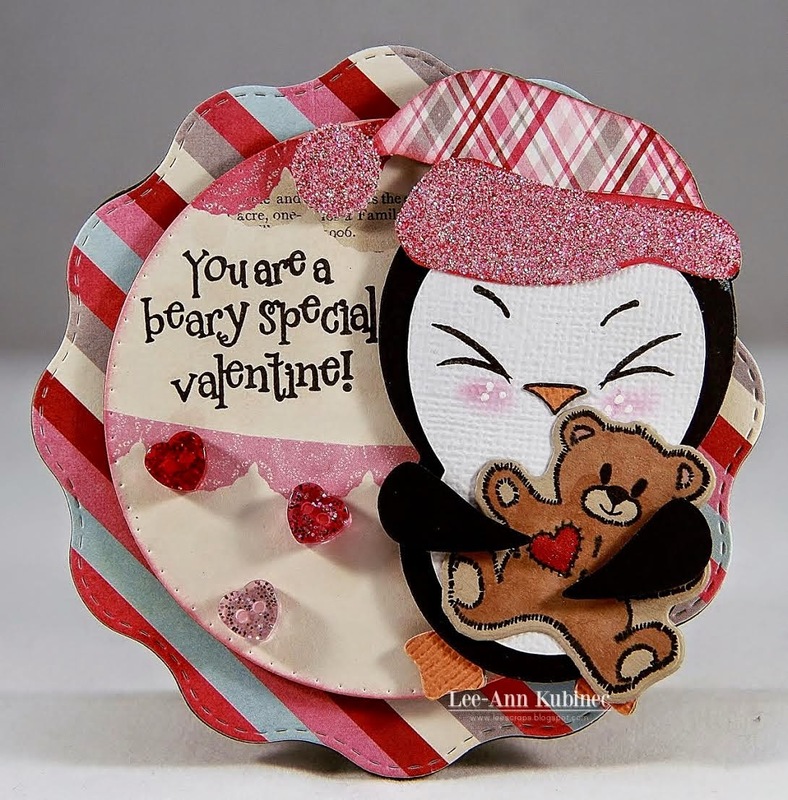 Happy 4th Anniversary Celebration of Sneaky Peeks, Beary Cute Card & Release!!! Happy 4th Anniversary! I love you bear card. I have been wanting the bear dies. Can't wait for the rest of the sneak peaks! So delighted you're offering these cute bear dies. Congtats on 4 years! Wow! I can't believe it's been four years!! I have stamp sets from your first release. Your card is beary adorable, and your design team is fabulous as always. Can't wait to see the rest of the release!! Happy Anniversary! I love your card beary much! The DT did a BEARY amazing job (Sorry couldn't resist the pun) and I super love your design Emma! Love your ribbon treatment too! Happy Happy Anniversary! Love your card Emma! Congrats on four fabulous years!! Love the new bear sayings! Love how you incorporated so many sets. I have this bear stamp set...So excited to be able to get the dies! 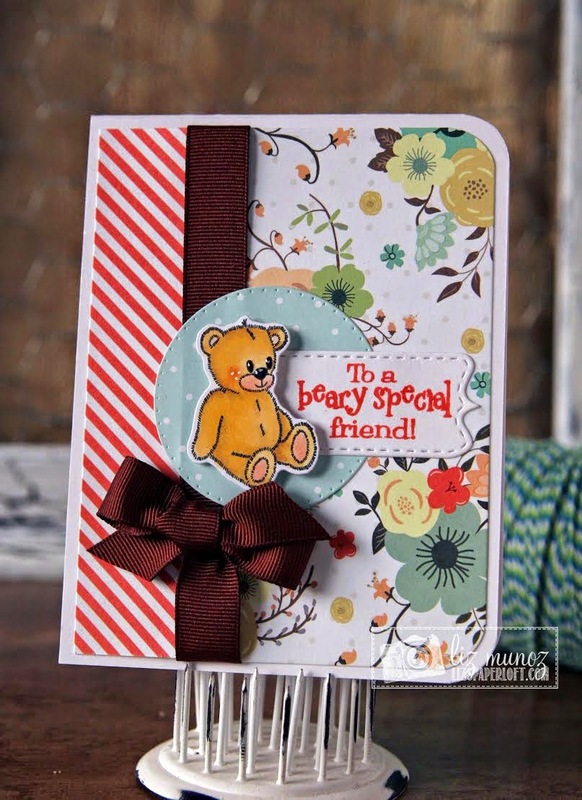 So cute - love the card the yellow striped ribbon is a great addition! Adorable stamp release so many creative designs! Congrats on 4 years of amazingness Miss Emma! I have been following you since the very beginning and maybe even before your stamp days since I learned everything about my Gypsy from you! The new bear die is adorable, bears are my favorite! Love all of the fabulous projects! Looking forward to more inspiration during this release week! Off to hop! Love the Bears! Congrats on 4 years! oh my Emma, I love your sweet bear on the honeycomb! the stitching is perfect too! Excited about the bear dies since I have the stamps! 4 Years sure did fly by fast! Congratulations! Congrats on your 4 year anniversary! Your products are great! Cute bear and card. Looking forward to the rest of the release sneak peaks. Congrats on 4 years! What an adorable card!! Happy 4th aniversary!!! more years!!! the release for today was amazing! Suce great dies! Happy Anniversary! I always love release week - it is so inspiring! OMG . . . adorable creations! I always enjoy the new releases. So much creativity and inspiration. Not to mention new products to purchase and collect. Beautiful job to your design team. Happy 4th Emma. Great start and beautiful card. So, so sweet. Love them all. The bear die is so adorable. It would make a great addition to my daughter collection ; especially since she collects bears. Enjoy your blog. Wow, I simply adore the inspiration here, will definitely add your stamps to my collection, glad I started following some of your DT recently! Happy 4th anniversary, Emma! 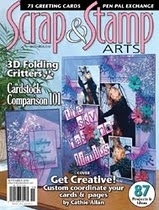 I am new on your blog and I am amazed about the stamps and dies. And of course of the creativity of you and your design team! I LOVE LOVE LOVE THIS SET!!! The bears are too cute! Loving the inspiratioN! Happy 4-Year Anniversary Emma & MCT! Can not believe it has been 4 year already!! Love the quality of your stamps and dies! Each release just keeps getting better and better! Thank you and your crew for all your hard work! ~ Carol W.
Happy anniversary Emma & MCT! I'm so glad I found you and your site. truly inspiring! The bears are so Adorable! They would be perfect on a new Baby card. All these projects are just super sweet.